I fell in love with these Monster Pants after having seen so many pictures with little ones wearing these funky longies. So, I was curious if I can find a free pattern for them so I can share it here. I was lucky enough to find 2 free patterns and then, some variations of these 2 patterns. 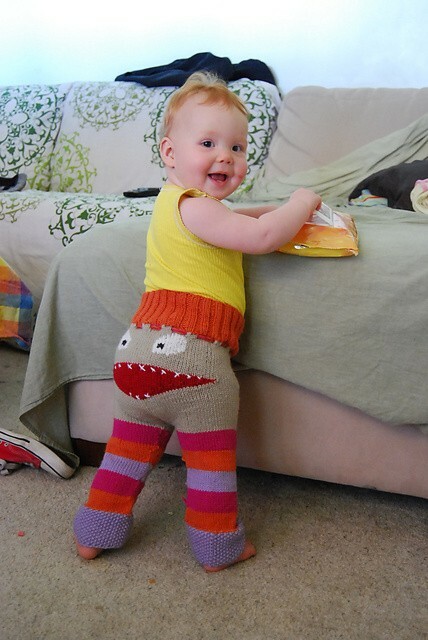 These knitted Monster Pants are warm, funny and adorable. You can customize and personalize them anyway you want and I hope you’ll have fun making them. And for sure, they’ll make the little ones smile. 1. 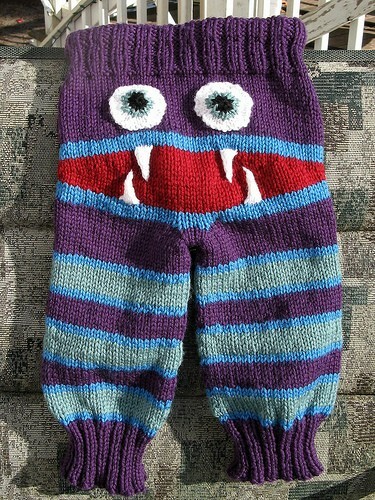 Grumpybum monster longies by Wandering Lady at thewanderinglady.blogspot.com.au. 2. These Monster Pants were made following the same pattern, with just a few modifications. I found them on remilyknits.com and I love them. They were made for a baby girl. 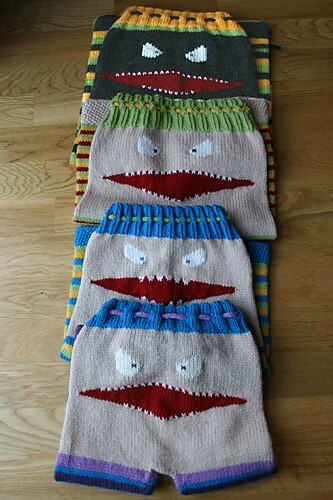 Go here to read more about these Grumpybum Monster Longies. 3. Das Monster by Hrönn Jónsdóttir . Too cute! Makes me wish my kids were still little so I could make that for them! 4. Das Monser in different colors and combinations. Very cute and very funny.